Principal Designer and Director of Salt Design, Daile has almost 30 years’ experience. 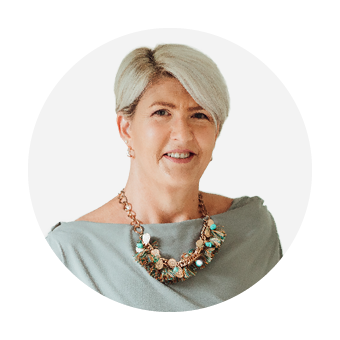 A creative designer with a strong strategic focus and technical expertise in print production and project management, Daile’s experience ensures she effectively leads and manages the delivery of contemporary design. During her career, Daile has worked for local design studios including Perceptions Graphic Design, Law Creative and ProDesign. Prior to starting Salt Design, Daile’s last full-time position was spent within the Marketing and Communications Branch of the Queensland Department of Treasury. Daile’s work has won a number of design and print awards including – two National Print Awards; three Public Sector Management Annual Report Awards; and three PICAs (Printing Industry Craftsmanship Awards). Simon is Salt Design’s Production Manager. His role is to organise the studio workflow and manage all internal and external productions. 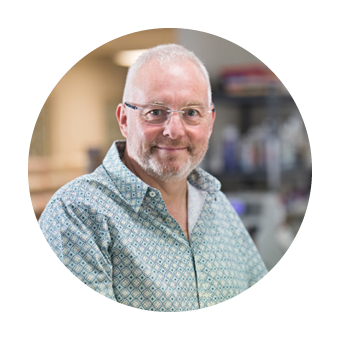 Simon’s extensive knowledge of production and print processes has been developed over 35 years in the printing industry. During Simon’s career, he has worked for quality printing firms based in Brisbane, Melbourne and Singapore. Simon has worked as a production manager for some of Brisbane’s most well-respected printers including Inprint, Platypus Graphics and PrintCraft. Simon brings to Salt Design his people-focussed management style and problem solving capabilities. He possesses a strong strategic focus and technical expertise in print production and project management. Simon’s experience ensures Salt Design will effectively manage the production of high quality, cost-effective and on-time print solutions for our clients. Our people are truly worth their Salt! Hannah has been a key member of the Salt Team for over nine years. She has a high level of experience designing a diverse range of print and digital media. Hannah’s understanding of technology and print techniques enables her to create designs which translate across multiple platforms. From web and print, to complex promotional campaigns, Hannah’s design expertise ensures every component fits together like the pieces of a jigsaw! Hannah is especially talented in brand design. She produces exciting, fresh designs based on her strong foundational knowledge of design and typography. Her passion for design, combined with her attention to detail make her an absolute asset to our team. Hannah’s professionalism and bright personality enable her to develop honest, collaborative relationships with our clients. 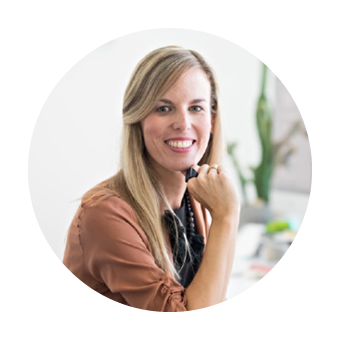 Her ability to communicate ideas and openly provide feedback and solutions to clients is an asset to each project. Sarah joined Salt in early 2018. Since then, she has worked on a wide range of projects including branding development and application, document design, print advertising, signage and digital media. At Salt, collaboration is key. Sarah has an amazing ability to share her ideas with our design team, respond effectively to client feedback and ‘push’ the creative process to ensure projects achieve cohesive, innovative results. Developing and executing projects from conception to completion, Sarah’s creativity and strong technical skills are applied to a diverse variety of client projects. She enhances with her design credentials with her writing skills and experience to achieve even more effectively communicated results. 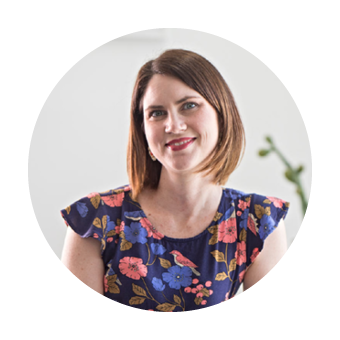 Sarah’s knowledge and understanding of print and digital processes enables projects to be developed using the best suited approach. Sarah excels at prioritising competing tasks to ensure projects are delivered to often tight and changing deadlines. Sarah has such a warm, approachable personality – and we love that she is part of our Salt team! Paul joined our team in mid 2018. Since then, he’s barely drawn breath and left us wondering – how did we ever do without him??? Paul’s technical skills and expertise in preparing our work for print and digital delivery is amazing! Our design team have benefited from his wealth of knowledge, stemming from over 30 years in the print and pre-press industries. Working closely with our Production Manager, Paul coordinates our day-to-day studio and print production. Together, Simon and Paul are responsible for print productivity, quality and delivery of both internal and external print projects. Paul accepts the monocle of ‘Salt Computer Geek’ with pride. He is a wizard with Adobe InDesign, Photoshop and our studio’s print management software. Paul is a tenacious investigator. He is constantly discovering, testing and sharing his knowledge with our designers. 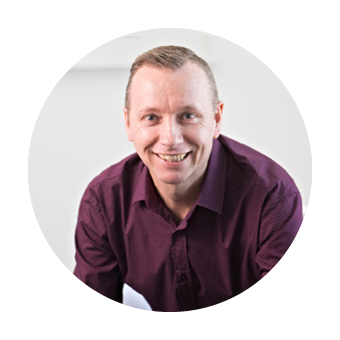 His input adds technical depth to our creative process – and is invaluable to achieving brilliant print and digital results!